The last words of a man who was executed after killing a five-year-old girl and her grandmother have been revealed. 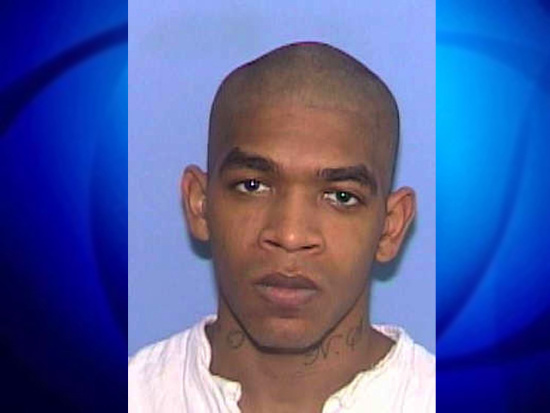 Erick Davila was executed on Wednesday evening (April 25) for a 2008 shooting involving a semiautomatic rifle at a child’s birthday party – leaving a rival gang member’s mother and five-year-old daughter dead. Davila was found guilty of killing the mother and five-year-old daughter of Jerry Stevenson, whom Davila claimed was a rival gang member. Davila, 31, was executed after nine years on Texas death row, despite in his last appeal asking the court to stop his execution based on claims of ‘drug use during the murders’ and a ‘conflict of interest with the Tarrant County District Attorney’s Office’, writes Houston Public Media. A matter of minutes before his scheduled death at 6pm, the US Supreme Court rejected the killer’s final appeal. Stevenson and various family members of the victim watched through the glass. Yes, I would like to say nephew, it burns, huh. You know, I might have lost the fight, but I’m still a soldier. I still love you all. To my supporters and family, y’all hold it down. Ten Toes down right. That’s all. Davila was then injected with a lethal dose of pentobarbital and was pronounced dead at 6:31pm. The killer had fought his sentence to the end, maintaining to the courts that he only intended to end the life of his rival, Jerry Stevenson, not his daughter, Queshawn, or his mum, Annette, 47. This is an important distinction because the jury had to believe Davila had indeed intended to kill multiple people to be eligible for the death penalty. Prosecutors argued in court how Davila had ‘always intended to kill more than his rival’. Texas has just executed #ErickDavila. One more person is now dead from the death penalty-a merciless and ineffective method of punishment that helps no one when it comes to justice and healing. #Endthedeathpenalty and stop this arcane system of injustice! I wasn’t aiming at the kids or the woman and don’t know where the woman came from. I don’t know the fat dudes name, but I know what he looks like, so I recognized his face. It was the question of intent that eventually led Davila’s case to the nation’s high court last April on a legal technicality. Davila’s lawyers had asked the US Supreme Court to halt the execution. They argued prosecutors in his trial had violated a court decision by hiding evidence favourable to Davila’s defence, suggesting he was high on drugs at the time of the shootings. Davila’s lawyers also said it was inappropriate for Sharen Wilson, his former trial judge, who was then the prosecuting attorney, to seek his execution date. The clients should obviously be able to trust their lawyers. You can’t get confidential information from your client and then turn around and use it against him. The state argued Wilson’s ‘minimal action’ in the case didn’t violate Davila’s due process rights. Davila presents no direct authority mandating the office’s removal from their Texas statutory duty to represent the State, especially when the action complained of is the ministerial act of setting an execution date. Davila’s execution is the fifth execution to take place in the state of Texas this year, and the ninth in the US so far in 2018.